What's the buzz about Beezzle? 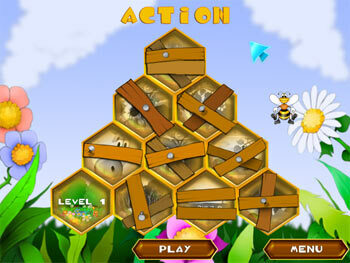 Flap your wings and fly into the sweetest puzzle game around! Your goal is to help a hive of honeybees raise their young by feeding the pupae and nourishing them into adult bees. Each stage consists of a honeycomb packed with different colors of nectar. Help the young insects reach wholesome nourishment they need by swapping them with adjacent nectar drops and creating matches of three or more objects of the same color. 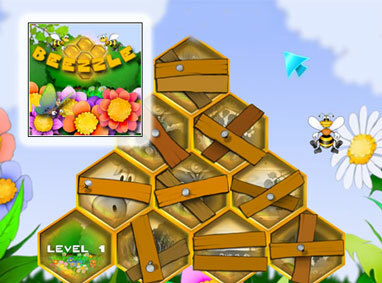 Bursting with color, dripping with charm and packed with inventive mini-games, Beezzle can take the sting out of any dull day!